This has been a real hit with fashion blogger and press alike. 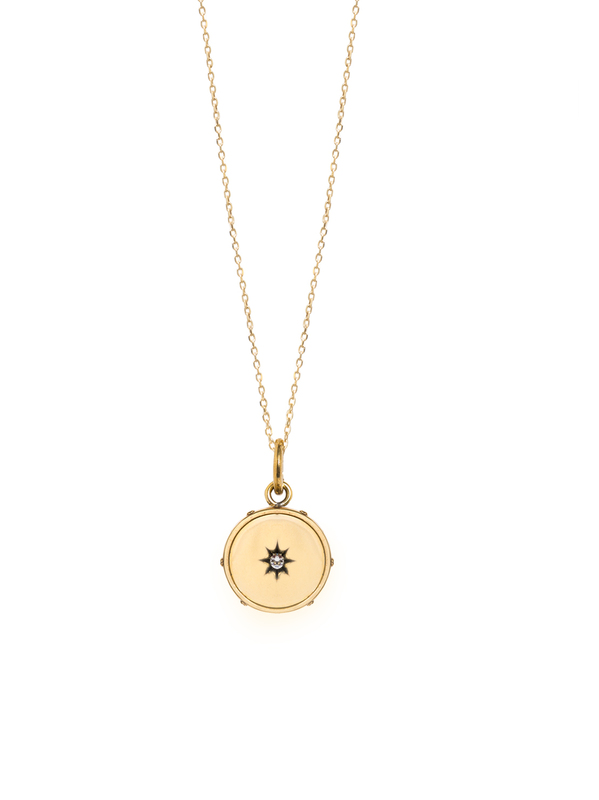 The super cute gold plated disc measures 2.5cm in length (including the jump ring) by 1.75cm wide. It has a small Swarovski crystal detailing in the middle, which was inspired by vintage lockets we found in antique markets. It hangs on a sterling silver trace chain which has been plated with 23.5 karat gold in Italy. The necklace has three different length options on the same chain, so it can be worn at 40cm, 45cm or 50cm.